Feed the birds this Christmas! With Christmas just around the corner, why not give a gift to your garden birds this winter? 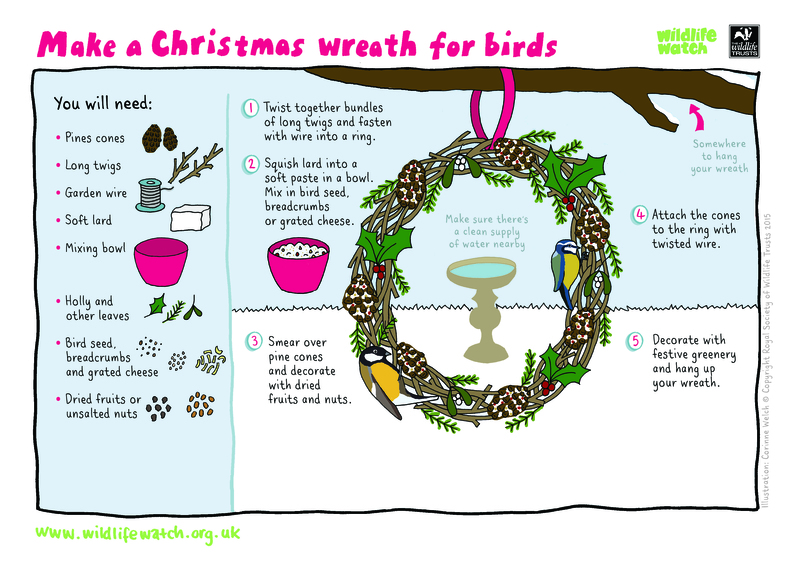 Here are some ways to help – including a guide to making a quick and easy bird feeder wreath! With the days getting colder and shorter, garden birds are finding it increasingly harder to find food. Birds need to build vital stores of fat to maintain body temperature through the winter months, when berries can no longer be found on trees and tasty insects become buried under the frozen ground. In an increasingly urbanised world, well-stocked bird feeders in your garden are critical resources for our beloved garden birds. It’s also a great idea to change some of that bird seed for fattier products. Suet or lard blocks might not seem the tastiest treats, but are fantastic for our little feathered friends – helping them bulk up for the frosty days ahead! Fly across to Vine House Farm Bird Foods’ website to stock up this winter – 4% of your order value will be donated back to your local Wildlife Trust, making your money go further! Looking for something fun to do with the kids this holiday? Or just fancy bringing the Christmas decorations into your garden too? 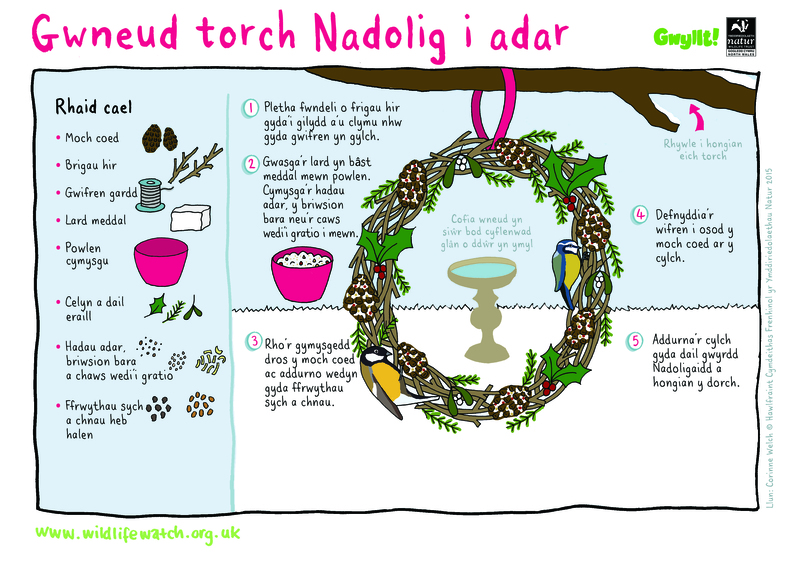 Why not follow our quick and easy guide to make a Christmas wreath exclusively for birds! Supplement your normal feeders with this crafty Christmas creation, and it might not just be Santa visiting your house this Christmas.